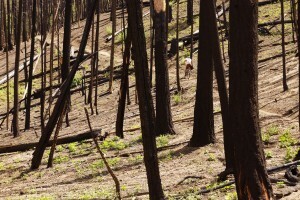 Today marks the one year anniversary of the flare up of the devastating Beaver Creek fire that burned for three weeks in S. Central Idaho in 2013. The lightning caused blaze forced the evacuations of thousands in the Wood River Valley, scorched nearly 120,000 acres, and burned through some of the finest mountain biking trails in the Sun Valley area. The Sun Valley Resort was spared thanks to the heroic efforts of the thousands of firefighters who eventually stopped the rapid advance of the devastating fire. Remarkable, only one structure was lost to the blaze, a large home at the mouth of Imperial Gulch, near Greenhorn Gulch, whiz is a popular trail network serving a variety of users. The trail system was shut down due to the blaze, and in the immediate aftermath of the fire, soaking rains overloaded the newly naked soils resulting in washouts of trails and roads, and many significant debris flows in the area. 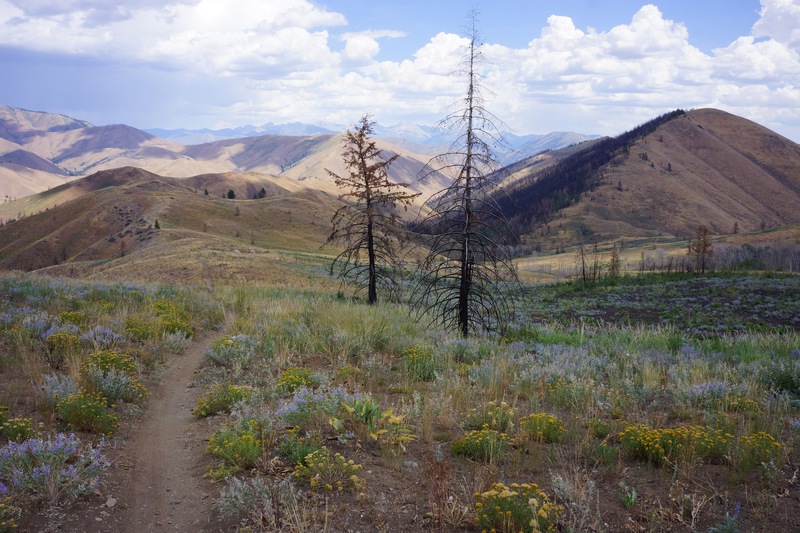 Rehabilitation on the area began as soon as possible last fall with the Forest Service taking the lead on reseeding and stabilization projects. The trail system was widely anticipated to be closed for at least a year, with perhaps no access until 2015. 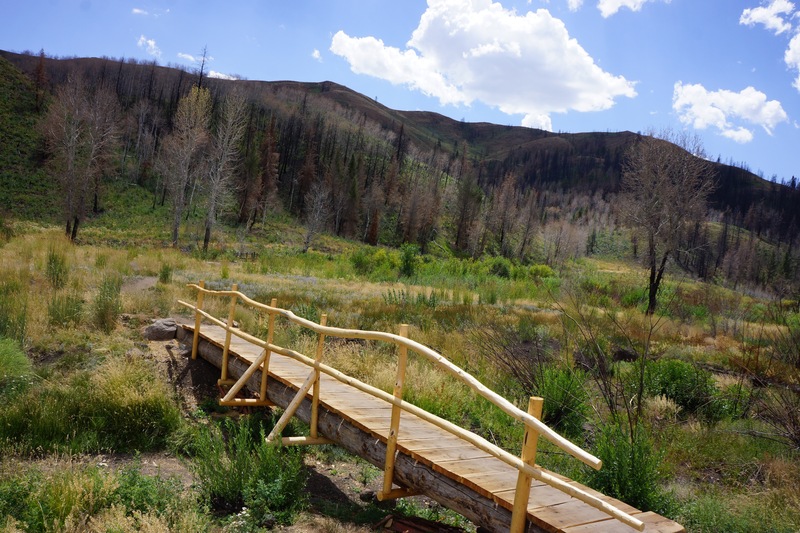 Thanks to the rallying of the local community and local agencies, the Forest Service, and volunteer organization including trail groups put forth an effort to get the needed rehabilitation on the fast track, and the resulting work enabled the trail system to reopen in mid-July. The trail alignments resin the same for the oat part, and a few improvements for grade and tread are noticeable. 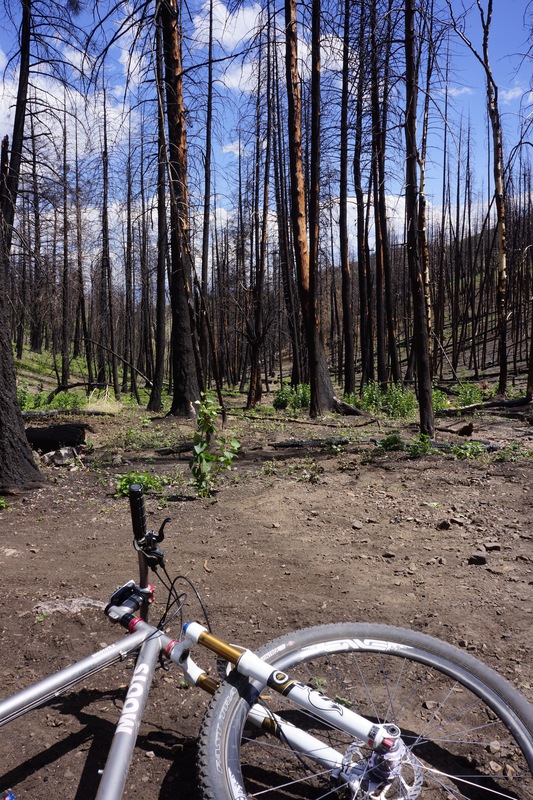 The destruction of the forest from the fire is remarkable, however the riding in not unlike some of the other nearby areas that have suffered from recent burns, in all- a unique experience. 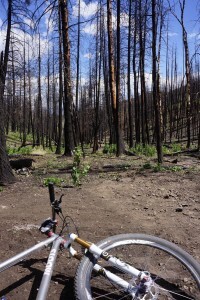 Some areas from the burn including the Deer Creek drainage, and trails connecting Greenhorn to Deer Creek remain closed, as do some of the trails further to the north such as Osberg Ridge. The opening of Greenhorn and Imperial is a big step for trail users, and a big THANKS is deserved to all who pitched in to make it happen. 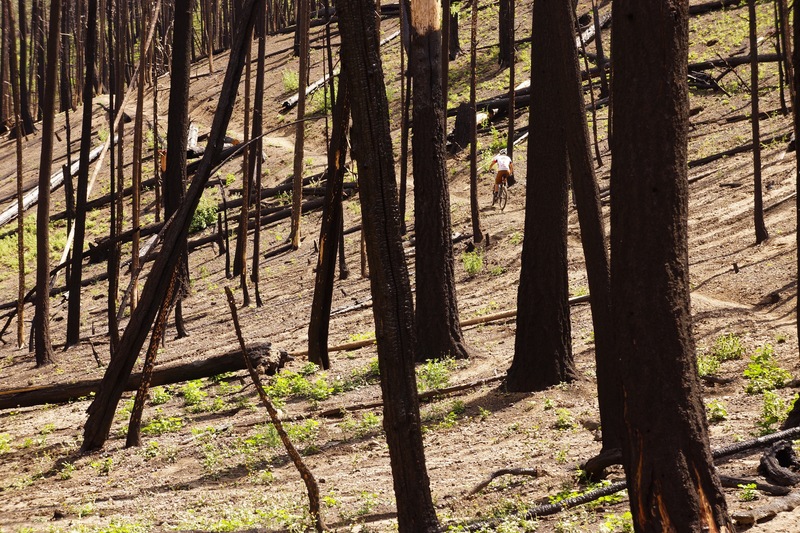 The forest will persevere and regrow, and it’s important to treat the area as fragile. The trails however complete a great loop that provides access to other longer linkups, and is a testament to the affection that the locals have for their trail systems.